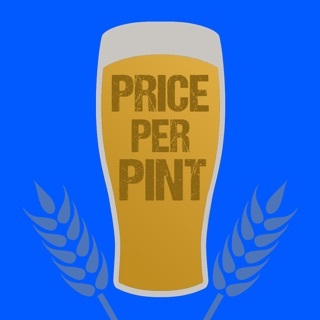 Never pay full price for a drink! Find the nearest happy hour nationwide. 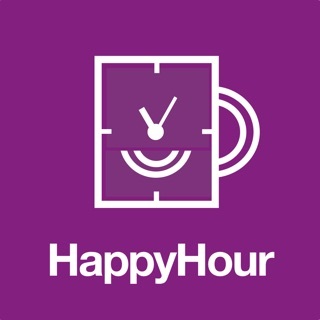 Cosmopolitan Magazine says "Download the Happy Hour Finder app." MSN ranked Happy Hour Finder a "Must-Use App." If you're reading this you probably like to go out and be social, or maybe you just like getting good deals. Either way you're going to love this app! Do you ever wish you spent more time out with friends? 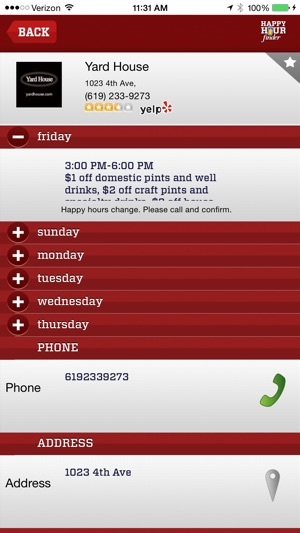 Going to a happy hour is a great opportunity to be social AND make it affordable. Get your friends or coworkers together and go out to a happy hour. 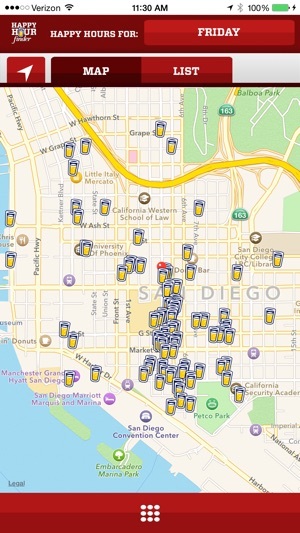 With Happy Hour Finder you'll know where to go. Download this app now! 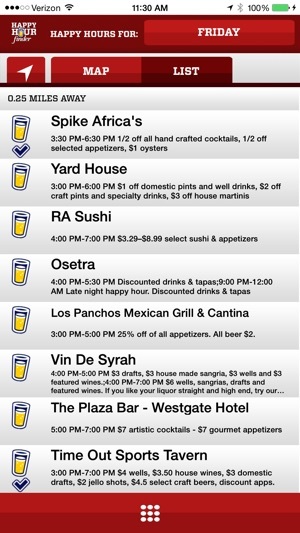 Install it to your phone and launch it to see all the happy hours happening near your current location. It's so easy to use and it will work anywhere you go. Get it now. Fixed bug causing incompatibility with some devices. These are a few of our new features and we want you to enjoy them! Also some bug fixes in this release. 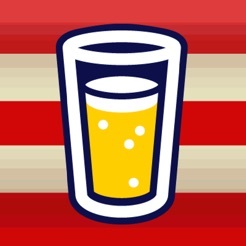 The app allows users to submit information on happy hours users attend that will help the app have the most up-to-date information at a location. However, they never update the any information based user submission or any information for that matter. It’s waste of of time to submit information so do not bother. This also leads to a lot misinformation on the app has the prices quoted are outdated. It’s decent for general information like location and hours of happy hour just don’t trust the deals annotated on the app. It appears they upgraded the app before iOS 10. I got a server error for a few weeks before iOS 10 was released. Once I updated to iOS 10 it started working fine again. I've used this app for years, traveling all over the country. 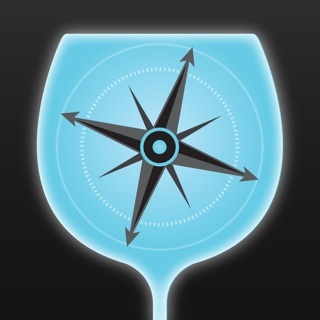 Comes in very handy trying to find reasonably priced drinks and fun venues in new cities! The app is pretty good, but it has a lot of outdated info. Good way to see what restaurants have happy hours/what time frame they are in, not good for exactly what the happy hour is. ALSO, and most importantly, the app never works when you really need it. It seems to work anytime but after like 4:30. After 4:30, the app just does not work. Their website goes down. The timing is so important for an app like this that it's basically useless as it stands.